Most of us have a treasured collection at some point in our lives. Maybe you collected marbles or pretty stones as a kid. And now, you might have a collection of beautiful shoes or pillows for every season. I’ve always been a fan of dishes and pottery and appreciate all the beautiful ways to display pottery. 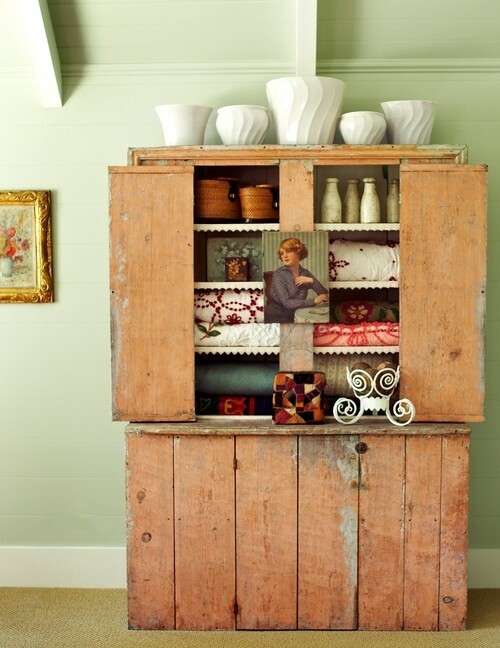 Given ample space in a vintage cupboard, a humble pottery collection takes the form of a still life painting. The spacing of the pieces lets you enjoy the unique beauty of each one. Display pottery by grouping like styles or colors together. This vintage green pottery display makes a beautiful impact against a white wall. 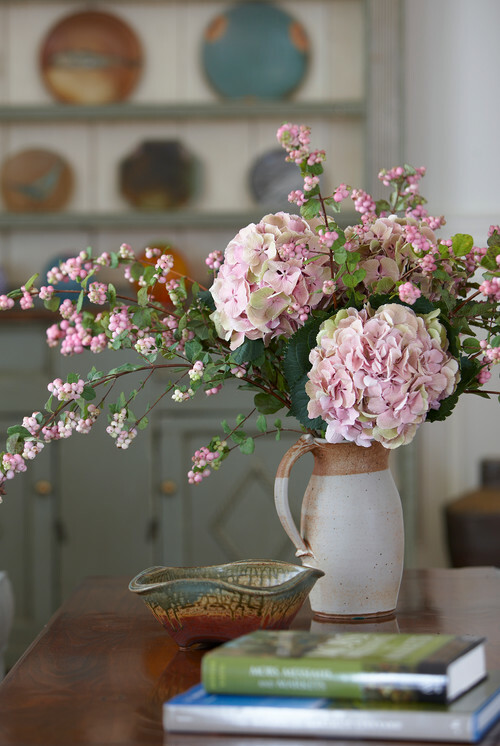 Pottery can be equally beautiful when displayed alone, especially when filled with a beautiful bouquet. 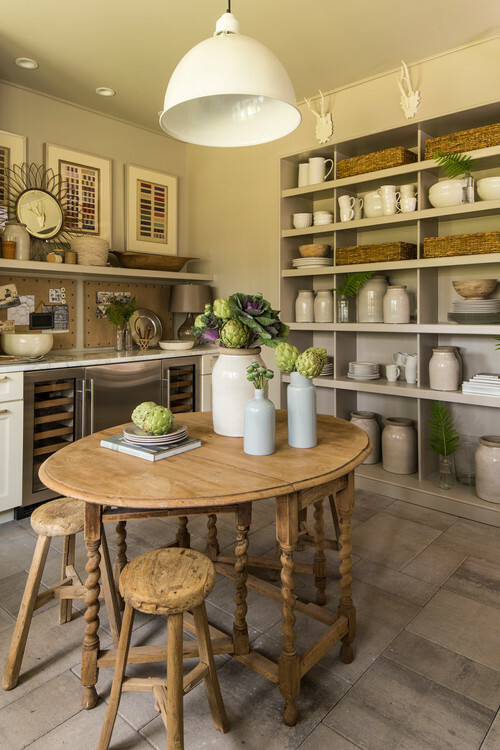 Stoneware crocks look lovely with rustic baskets on shelves. A few pieces are pulled onto the table for organic centerpieces. It’s okay to group more than one collection together in a single location. Vintage quilts pair with large white pottery in a rustic country cupboard. 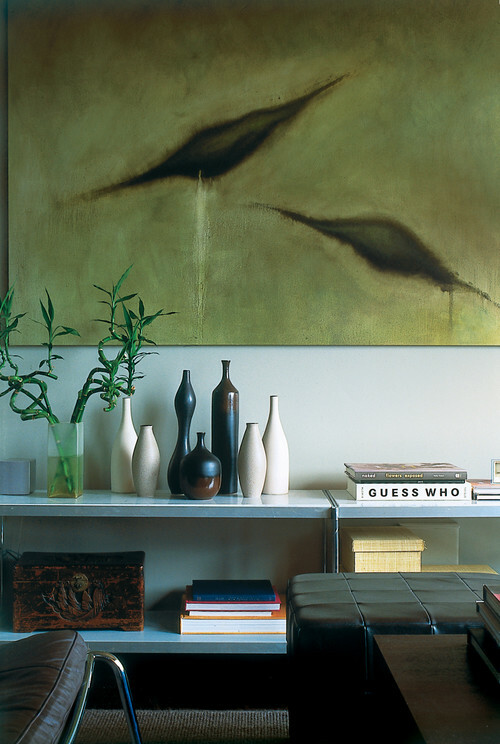 Modern pottery vases in creamy whites and brown-black combos capture your eye beneath a contemporary oil painting with like colors. The grouping grows as more pieces are collected. Are there any fiesta ware fans in the audience? 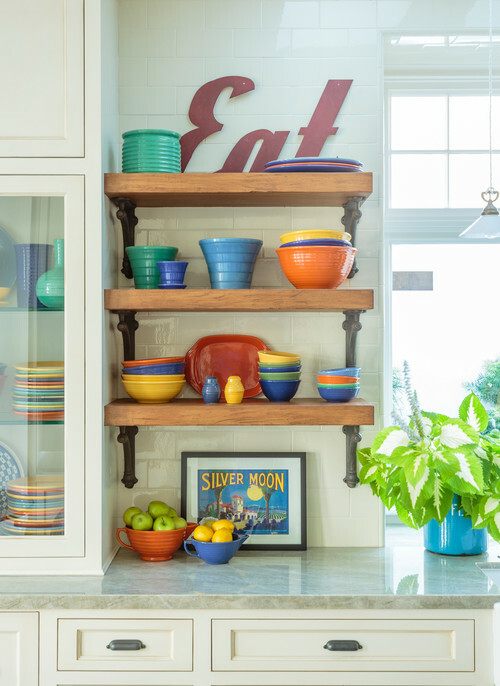 Mix and match the colors to create a cheerful display on open shelving in the kitchen (or dining room). You might be tempted to set large pottery pieces apart from one another, but they make a truly impressive arrangement when grouped together. Don’t be afraid to display white on white. Ironstone pottery and dishes look beautiful displayed together almost anywhere. 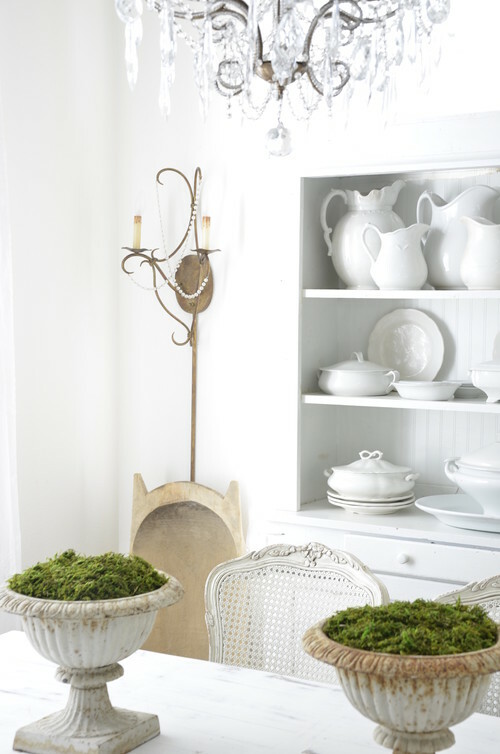 White ironstone is one of my favorite collectibles. It has such timeless appeal. McCoy pottery is also beautiful on open shelves and in bookcases. 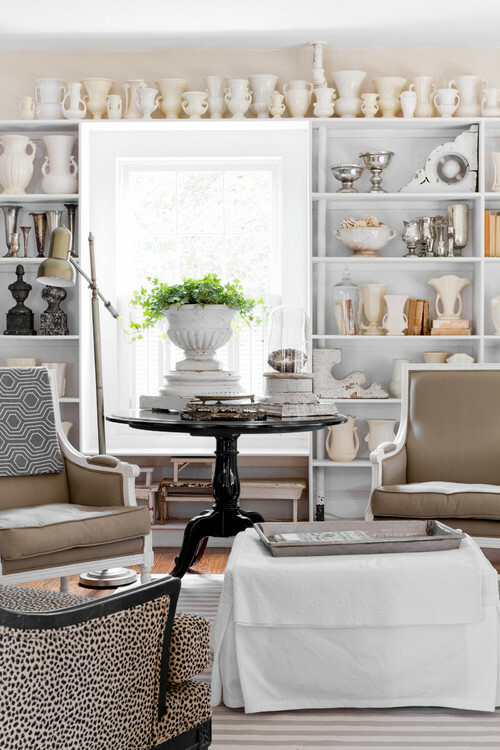 Here, it’s grouped with vintage silver and books. 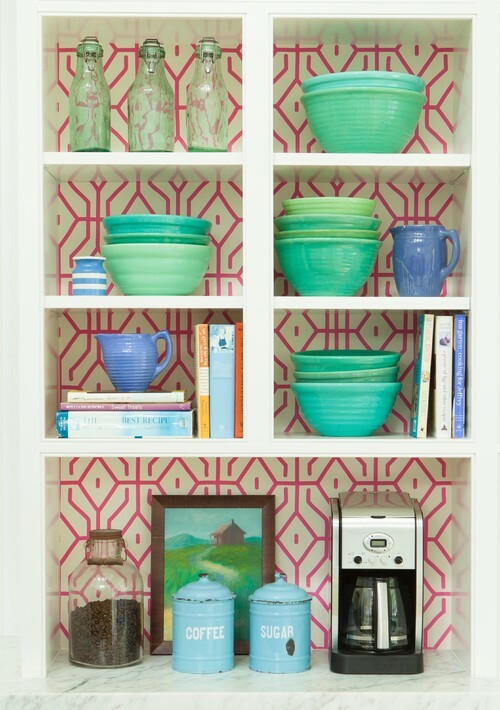 It’s so easy to make a visual impact in your home when you display pottery in groupings. 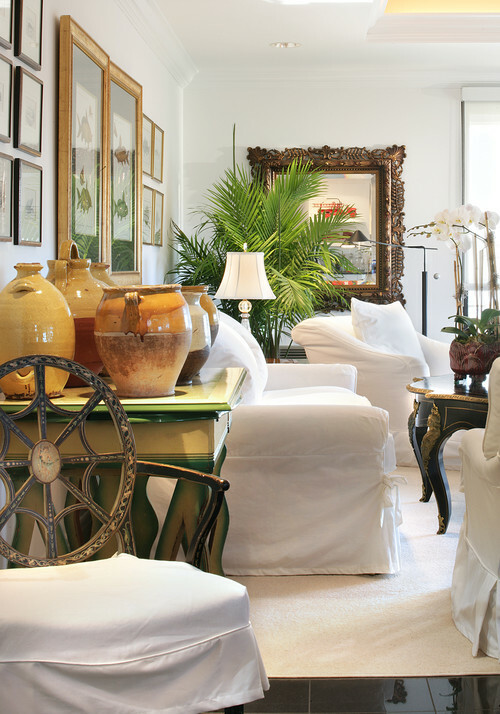 What type of collectibles do you have on display in your home? Good morning! I have many collections that I have acquired over the years. I started collecting pottery in the early 80’s. I went with some friends to juried craft shows on the east coast. We got pottery for a fraction of what it is today! I also have collected blue and white porcelains and LOVE my collection. Loved this post. Have a great day! I have some crocks and pitchers mixed in with old books. I am starting to understand how my collections look better when group together, but it took me a while. Thank you for all these examples, i can use all the help i can get and you are so helpful. 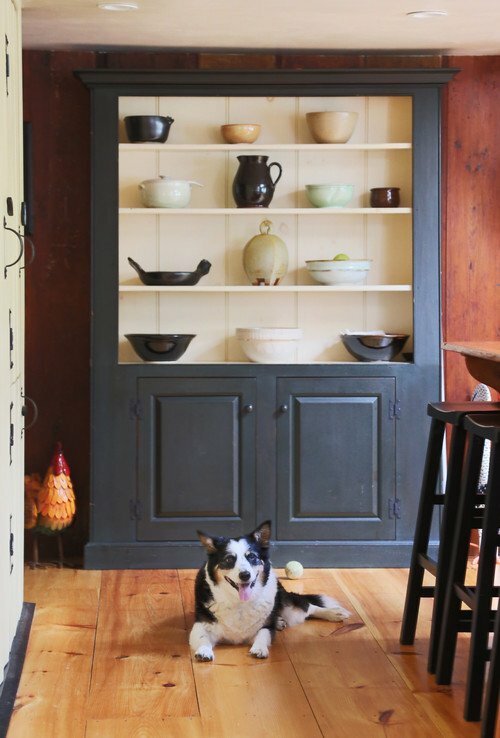 I collect pottery so I love this post to get more ideas to showcase the pieces.